In its heyday, Mistra Battery was equipped with three (3) 24 pounder and six (6) 8 pounder iron cannon. These were later changed to less but the battery as it stands today was built for such a numerous armament. As a result, following the extensive restoration of the battery itself, Fondazzjoni Wirt Artna has started the process to recreate faithful copies of this armament and to return it to the battery. 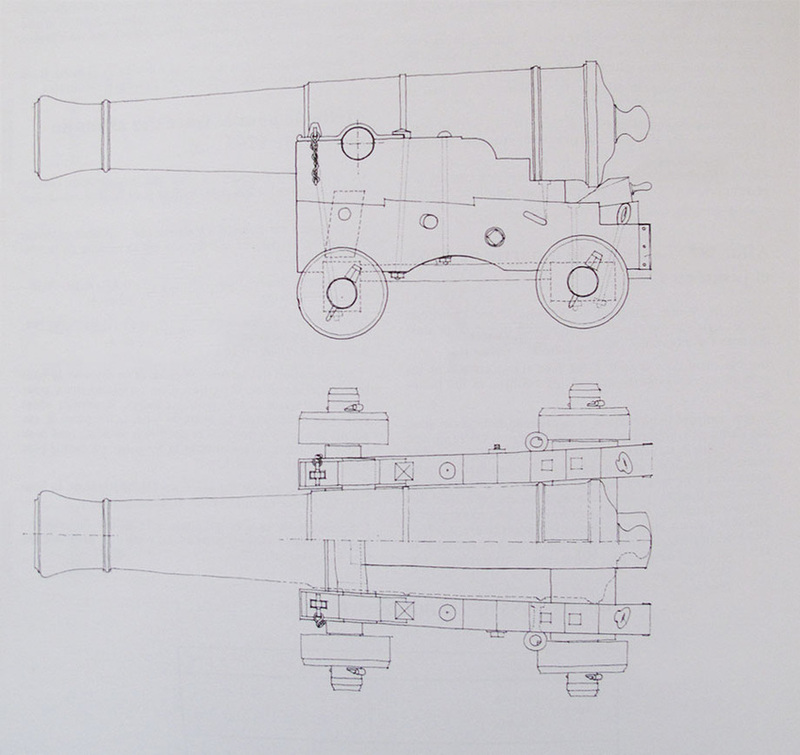 In all probability, the armament in use by the Order of St. John in 1761 at Mistra Battery, the year in which the above compliment is recorded, would have consisted from imported French ordnance, possibly the 1700 Pattern. By this time, the Order were importing most of their cannon from France as opposed to the earlier practice of sourcing it in Italy or Holland. 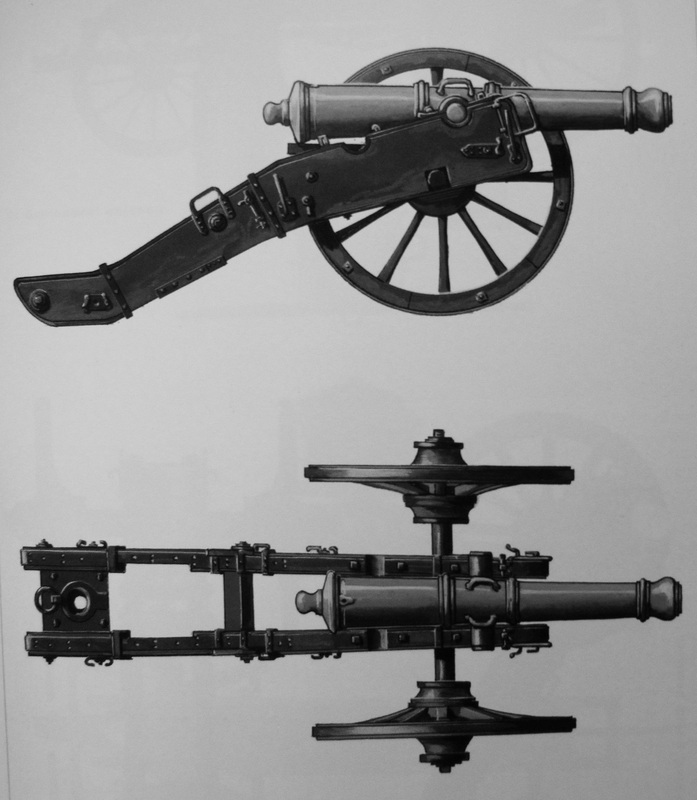 For this project two full-scale cannon model barrels are to be specially made representing a French Model 1700 iron 24-pdr cannon and French Model 1700 8-pdr cannon. Both models are being turned in Malta from bulk wood and when ready will be shipped to a foreign specialist iron foundry for casting. The carriages will be made locally using specially imported wood of different varieties and thicknesses as originally used. Indeed, no less than eight different types of wood are required in the making of an artillery carriage. Each type of wood was chosen for its particular strength and properties to perform a given function in the carriage. Some of the required wood is no longer freely available as at the time when these carriages were originally made and when found it is usually too thin to use in this regard. Hence, it has to be obtained by order from a very small number of licensed suppliers who are authorized to trade in protected woods in Europe which makes the wood very expensive. 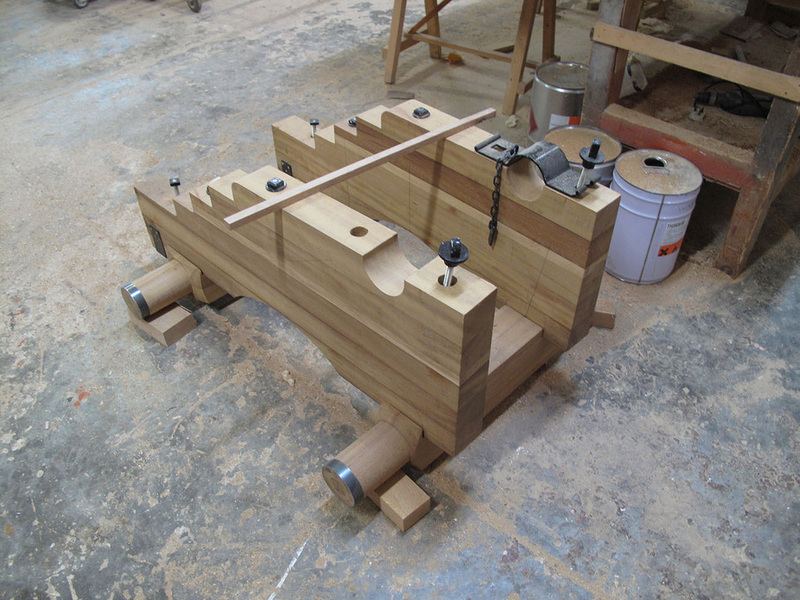 The wheels of the field guns will be manufactured in Europe for the lack of available skilled wheelwrights in Malta. Every carriage will require nothing less than 55 different iron parts to hold it together. These will be manufactured locally by hand using specialist skills. 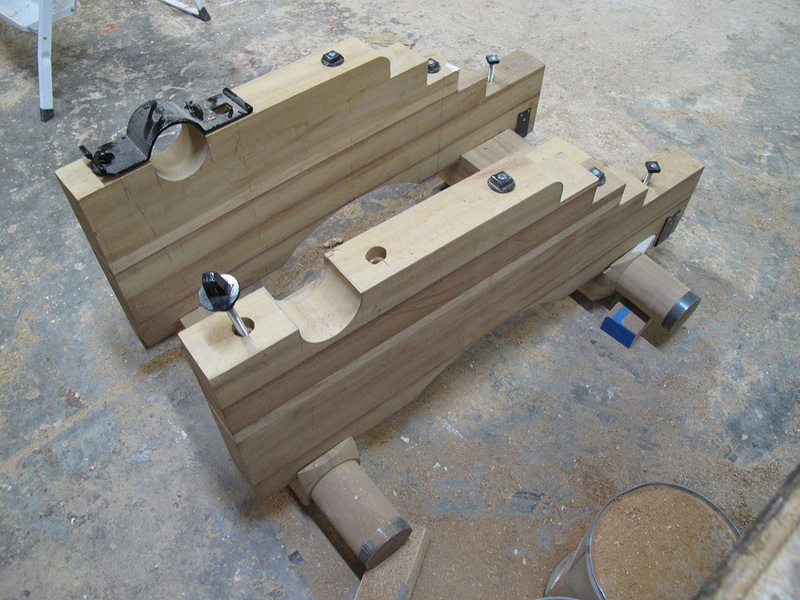 On completion, each replica gun will be proofed by a licenced European proof house to fire blanks. The proofing usually follwos teh loading of teh gun with six time sits standrad charge to check if it can take the strain. Following that it will be checked for any minute cracks in its metal. The estimated cost of this project which involves the making of nine (9) full-scale 18th century cannon is €50,000 exclusive of VAT. As it happens with all our projects these funds will be raised through fund raising and individual and corporate contributions and donations. As a result, we are launching this page to enable anyone who wishes to support this initiative to directly donate towards by clicking the below button which will lead you to our safe donation portal. THANK YOU. Different views of a full-scale model of the naval carriages required to gain the required experience in making the proper ones. 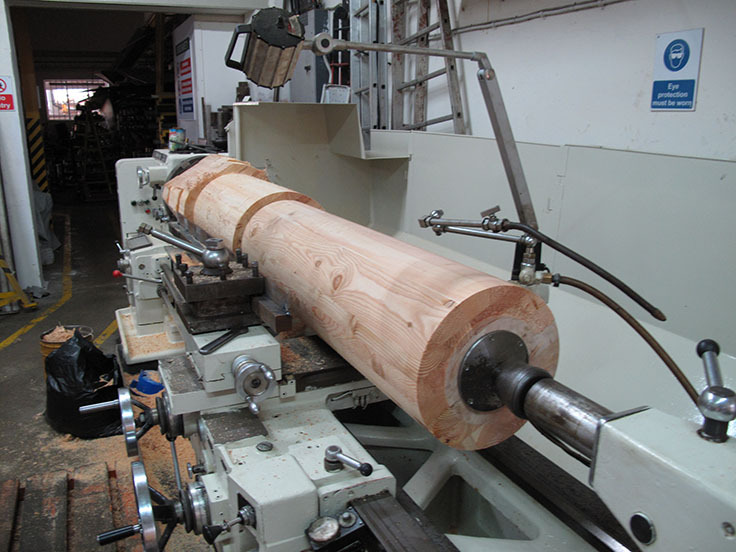 The turning of wooden model on which the iron guns are to be cast. 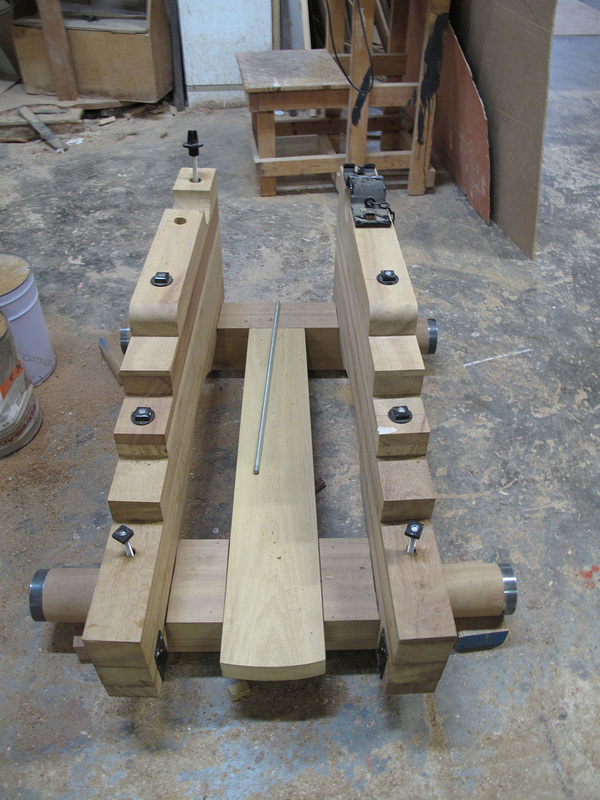 Shown here is the roughened out wooden baulk.The one shown in the picture is for the smaller 8-pdr cannon.